We have been established since 1990. 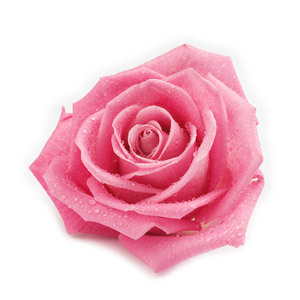 We specialise in floral gifts, funerals, weddings. We stock balloons, chocolates and teddy bears and can also offer champagne and wine. Easy and very straight forward. Freind was very happy with the flowers, they looked very much like the photo. Lots of choice on the site Easy to order and pay. I had to modify the accompanying greeting card and the florist I spoke to was very friendly and accommodating. I selected the highest price, but thought the display looked small, with very few flowers. I was a little disappointed, with my relative's photo of what I ordered. Recipient was delighted. Ordering easy, lots of choice. Good price range. Fast and efficient, will use again! My cousin loved the flowers. Said they were perfect and beautiful. Beautiful flowers, delivered so quickly. Such a beautiful bouquet and my Wife loved them. Flowers were lovely and good value for money. 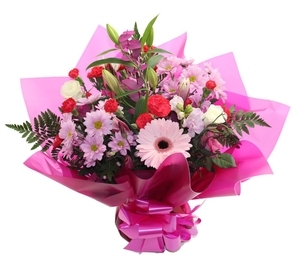 We are pleased will the service you supplied & the flowers where fresh & beautiful. 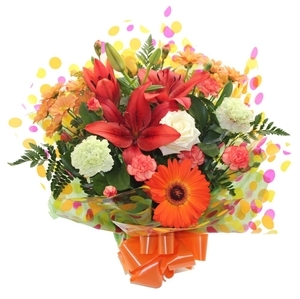 At 79 yrs old it is not easy to go on line & order flowers to be delivered to another country, but it was all done with out any problem & they arrived at the time of day to suit our relations, thank very much & we will tell all our family & friends how easy it was to go through Direct2florist. I expect florists to substitute with what they have available but to meet the brief: here, taking inspiration from nature in pale shades. What was sent was shocking pink, dominated by lurid stargazer lilies and would have looked garish in Barbie's house. 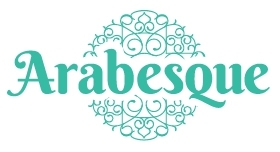 I was embarrassed - I would have thrown it out had it been sent to me.I will never use Arabesque when sending flowers again. I can not say enough good things about this florist . From the kind , friendly gentleman on the phone to the beautiful flowers . I am in Canada and put my trust in this florist and they came through . Above and beyond ! You guys made mine and my sisters day . Thank you !!! In Canada, so haven't seen funeral product. Flowers were delivered same day and in the snow and made my mum&rsquo;s birthday. Highly highly recommend. Thank you so much. I would like to give 10 stars but I can't. The wreath was better than the photograph, absolutely stunning! Thank you to the florists at Arabesque Maidstone you did a wonderful job. Not seen flowers personally but the nursing home said they were lovely. Delivery was on time and my Mum was delighted with her orchid. Great service. The recipient was extremely pleased with their floral arrangement describing it as beautiful. Lovely flowers, first class service at very short notice. Would definitely recommend! The flowers looked beautiful just like the photo on the web site. I requested flowers of a particular colour and the florist complied. Most appreciative. Flowers were just as pictured online. My cousin sent me a photo of the flowers and the display was stunning. So happy this was the case as the flowers were for my cousins 50th birthday as has i live in Australia it was so lovely to be able to send her some beautiful flowers direct to her home in Kent. Delivered on time, and a very good display of flowers. Very well done! Excellent in every way, thank you again and again, every year. Great flowers once again. Thanks. A fast, efficient service that delights....who could ask for more? Thank you. I heard from the recepient that the flowers are beautiful, and the flowers are still fresh days later. My friend was very happy to receive such a beautiful arrangement. Thanks to Arabesque Florist that I was able to send a lovely gift that has been a joy to a sick friend. very pleased with flowers.thank you.